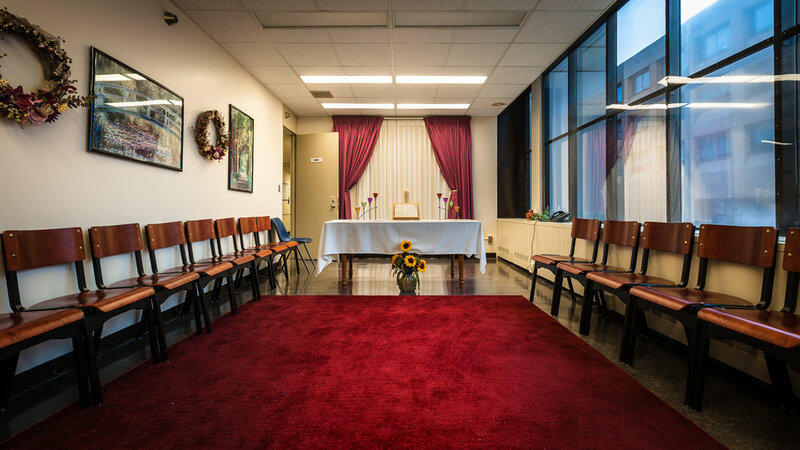 The 60 bed Solomon Fuller Mental Health Center is an inpatient psychiatric facility located in Boston’s South End. The facility is part of the Boston Medical Center and is operated by the Massachusetts Department of Mental Health. Its namesake is Dr. Solomon Carter Fuller, an African-American psychiatrist who was a long-time member of the faculty of Boston University School of Medicine. Symbols and objects from a range of religious traditions are displayed in the small chapel that runs along a hallway. Natural light from a wall of windows on one side floods the space. 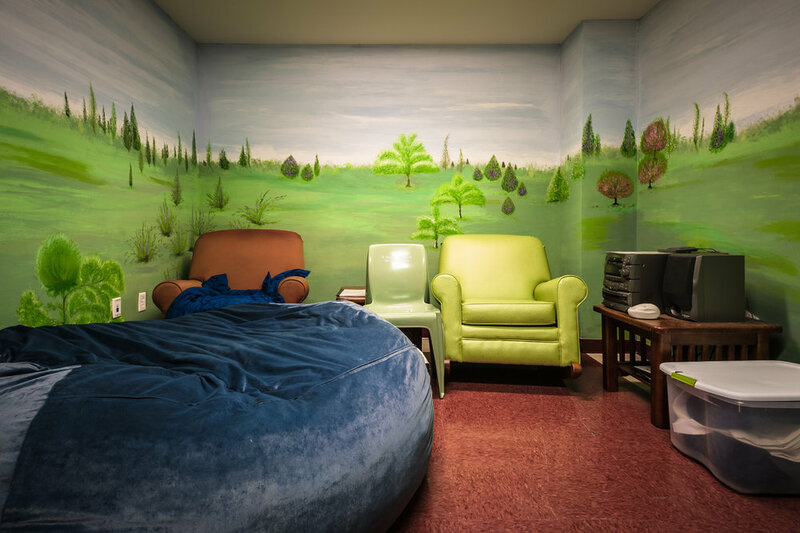 Brightly painted, comfortably furnished "Compassion Rooms" used for individual therapy sessions are located on each floor. A rooftop open air atrium provides a pleasant space for patients to appreciate the hospital's beautiful collection of Bonsai plants.